The most important question a customer should ask a locksmith: Are you based locally? At first glance, this may seem like a stupid question. What does it matter if a company is local, or based miles away? The answer is simple. If your NOT using a local company, you may be paying more than you should be. This is because the company your phoning may charge a huge price, then sub contracting the work out to local locksmith. For example, say you need an Edinburgh locksmith. You may type ‘Emergency locksmith Edinburgh’ in to google. The company right at the top of the page may advertise as being local, they may even have a local area dialling code. However, they could be based in London, Manchester, or anywhere for that mater. These companies usually have little, or no knowledge of the trade you require. They could be sat in an office hundreds of miles away taking your call. Once the customer is reeled in, these national companies will take your credit card details to ensure they get payment. Even if the customer is unhappy with the service received. The national company will tell the customer a tradesman will them in the next few hours. When they hang up the phone the national company will call around local tradesman in the area of the customer. If a tradesman is free, the nation company will offer the job, at a fraction of the price the customer pays them. Therefore, the customer will receive a local tradesman, who could literally live around the corner. However, they will be paying them at least double the price they would normally charge because of the national middleman. The Scotsman newspaper printed an article on the problem of national locksmith firms. Why use Budget emergency locksmith Edinburgh? We are a LOCAL company based at Bonnington Avenue in Edinburgh. 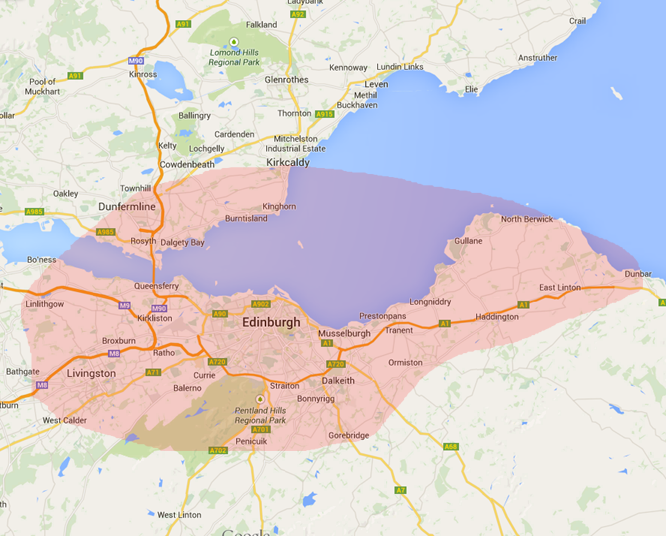 This means we can provide an Edinburgh locksmith service to the surrounding areas within 30 minutes of the call. We are a self governed company, and refuse work from sub contracting companies likes the ones described above. Our Ethics are firmly in place, and wont be broken under any circumstances. If a job can be done in a way that saves the customer money, it will be done that way. We believe if you do a good job, at a fair price, you will always get repeat custom. It is the repeat custom that will secure the longevity of our business. Every company has a selling point. Some firms focus on a speed. Some will focus on a quality service. At Budget locksmiths, our main selling point is affordability. That doesn’t mean we don’t pay attention to the other things that make a good company. However, we feel that delivering a good service at a price people can afford is important these days. The high cost of living in Edinburgh means most people don’t have spare cash hanging around. Especially for something like being locked out. An Edinburgh locksmith job can be varied, no two days are ever the same. Obviously there are some jobs we repeat more than others. However, most of the work we do is ‘reactive’. This means we are called upon when there is a problem. Such as being locked out, or needing a lock changed in an emergency. This type of work does not suit everyone, you must be on call for long hours, and sometimes 7 days a week. Unfortunately for the locksmith, most emergency work does not happen between 9 to 5 on a Monday to Friday. Usually a locksmith is needed late at night due to lost their keys or a broken lock. A high proportion of new build houses nowadays are fitted with a multi point locking mechanisms. These are the type of locks that require you to to lift up the handle to lock the door. 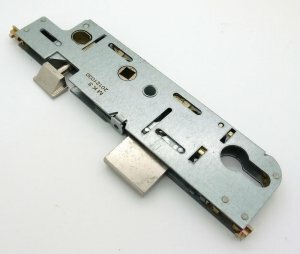 Although most of these locks are installed on UPVC doors, they can be found in some wooden doors too. When the handle is lifted up on the door, a combination of hooks and bolts come out of the mechanism. On the door frame there will be metal lock keeps. When the door is closed and the handle lifted, these hooks and bolts insert into the keeps on the door frame. Usually when these doors are installed they are working perfectly. However, through time the doors can begin to move, due to the weight of the door pulling on the hinges. They can also move out of position due to movement in the building. Once these doors are misaligned, the problems can begin. This is because the hooks and bolts may no longer fit into the door frame keeps. After a period of time of the door being misaligned, the homeowner will have trouble locking the door. They will need more force to lift the handle, to engage the locks into the frame. Eventually something in the door mechanism will break due to the repeated strain on the working parts. Most times the working part that breaks is the gearbox. This is the centre section of the multi point strip that a Spindle runs through, which connects the inside and outside handles. Usually what happens, the homeowner forces the handle to lock the door. They then feel something click, or break in the door. This breaking noise will be a parts of the gearbox dislodging itself. Meaning the door will no longer function the way it should. Time to call the emergency locksmith Edinburgh? Unfortunately, the most common time a gearbox will break is when the handle is lifted to lock the door. This means some of the hooks and bolts will have entered the keeps on the door frame. However, when the handle is pushed down, it will no longer retract these hooks and bolts. Meaning the house holder is now locked in or locked out of their property. How will the locksmith open my door? The answer to this question can differ due what has broke in the gearbox, and whether the Euro lock which goes through the gearbox is the broken too (this will be discussed in a future post). Usually however, because a mechanism usually breaks whilst lifting the handle, the door will not be properly locked. Therefor, a locksmith can use a UPVC door spreading tool to gain entry. The tool is inserted into the edge of the door, and pressure is applied to create a gap in the frame. Once the gap is created the locksmith will see the hooks and bolts in the door frame. They can then manually push them back into the mechanism, meaning the door can be opened. Spreading open a UPVC door does not cause damage to the door. They are quite flexible, due to being made of plastic. If the multi point mechanism is in a wooden door, it can be a more difficult job. wooden doors do not have the elasticity as their UPVC counterparts. This means creating a gap with the door spreader is not really an option. Trying to do so could damage the door and frame, not to mention the hinges. With a wooden door the locksmith may need to take off the handles, and drill into the gearbox. After finding the offending part the locksmith can manually work the gearbox to retract the hooks and bolts. Opening doors this way can be a real pain for the locksmith. Sometimes when drilling a gearbox the working parts can fuse together, making it almost impossible to open. What could have been a 5 minute job on a UPVC door, could potentially take hours on the wooden door, as our friends at locksmith Manchester found out! We hope you got some useful information, regarding who to call in an emergency, and have an insight into part of a locksmiths job. If you need an emergency locksmith Edinburgh service, do not hesitate to give us a call. We are always happy to help, even if its just a friendly bit of advice you need.